Building on the work of Tertullian and Paul this volume continues a series of specially commissioned studies by leading voices in New Testament/Early Christianity and Patristics studies to consider how Paul was read, interpreted and received by the Church Fathers. In this volume the use of Paul's writings is examined within the work of the Apostolic Fathers. Issue of influence, reception, theology and history are examined to show how Paul's work influenced the developing theology of the early Church. The literary style of Paul's output is also examined. The contributors to the volume represent leading lights in the study of the Apostolic Fathers, as well as respected names from the field of New Testament studies. The Apostolic Fathers and Paul was published by Bloomsbury Publishing PLC in December 2016 and is our 60606th best seller. 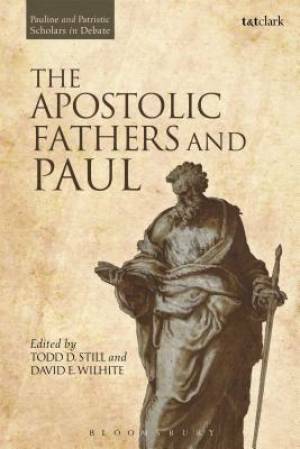 The ISBN for The Apostolic Fathers and Paul is 9780567672292. Be the first to review The Apostolic Fathers and Paul! Got a question? No problem! Just click here to ask us about The Apostolic Fathers and Paul.